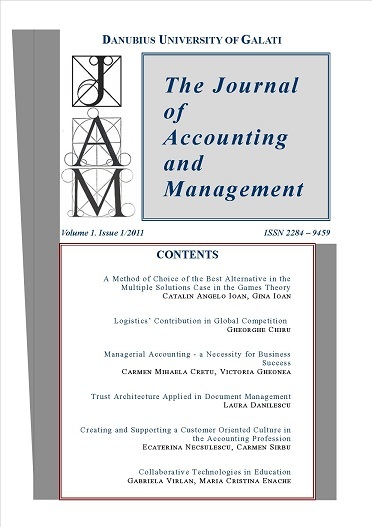 JAM is the newest scientific journal published by Danubius University of Galati. The area of research covers accounting and management articles but also interdisciplinary working papers as well empirical studies and case studies. The articles are accepted for publishing after a rigorous peer review process. The reviewers are internationally well respected teachers and researchers. The Environmental and Sustainability Management Accounting Network (EMAN) in association with Danubius University of Galati are pleased to announce the 22nd EMAN conference on Social responsibility and sustainability accounting – Key corporate performance drivers and measures. In 2018 the EMAN conference will take place in Galati, Romania from June 21st to June 22nd. The 1st 2016 JAM issue is now available online. Enjoy it!